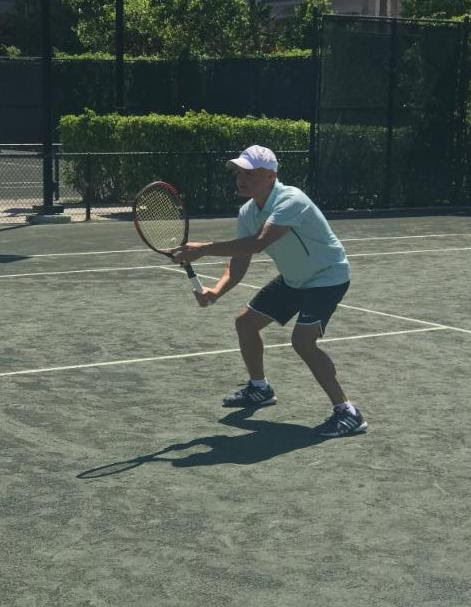 With an 11-year-old player ranked in the top 20 in the nation sprinting to the ball and more experienced veterans deftly placing lobs, volleys, and drop shots, the fourth annual Miami IC Day was a win-win for everyone who enjoyed the meticulously groomed clay courts at the Ocean Club on Key Biscayne. 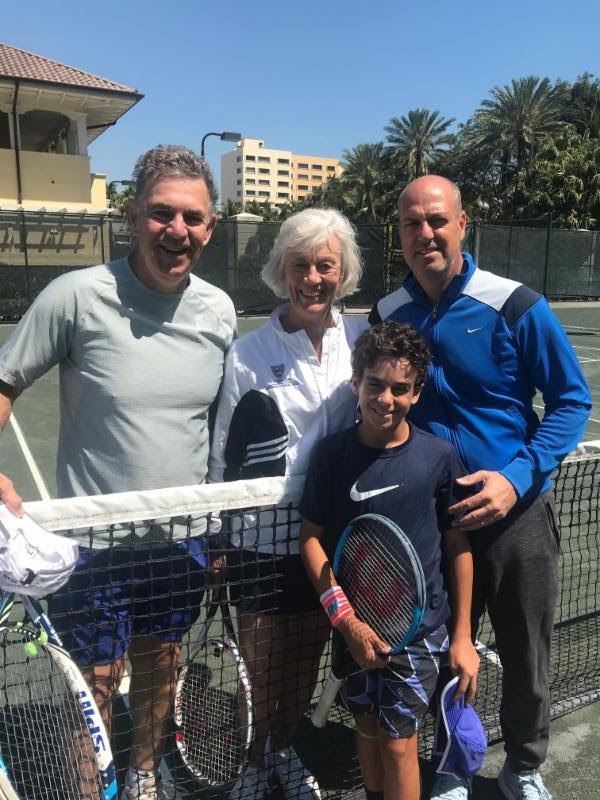 The lone female player in the field was world champion Donna Fales, who held her own in the round robin format where all 12 players competed with and against each other. 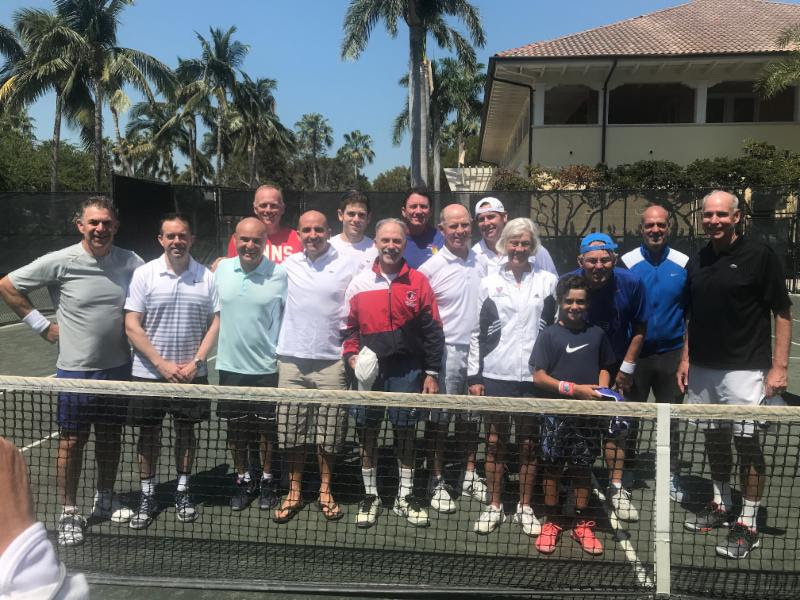 Nationally ranked members and their guests included Mark Harrison, former Harvard #1 Jon Pearlman, organizer and host Robb Bunnen, Marcos del Pilar, Chris Harirchian, Fred Sutton, James Clarke, Sagiv Horovitz, Roy Horovitz, Steve Foldes, Eric Rebuhn, Ralph Nappi, and Rick Frank. 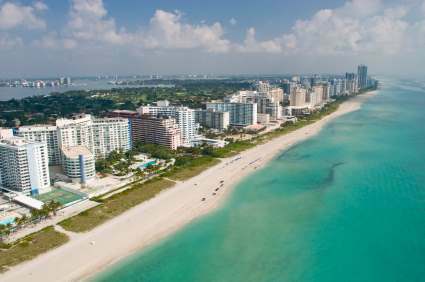 Following the match play and court side lunch, several "fans" headed five minutes down the road to the Miami Open for an exciting afternoon of pro tennis for the final rendition of the tournament on Key Biscayne before it moves to Hard Rock Stadium in 2019.